Hello everyone! Mother’s Day is approaching and I want to share with you my Top 3 Gift Ideas for all the mothers out there. We all know they deserve the best. This is so far my favorite gift for every occasion. The fact that it was created by Scott Barnes, who is one of the most influential authors and celebrities make up artists, already sold me in terms of quality. However, this beauty box is surprisingly affordable ($50 CAD). It comes with pretty much everything that you will need to complete your look in many different shades and colours. 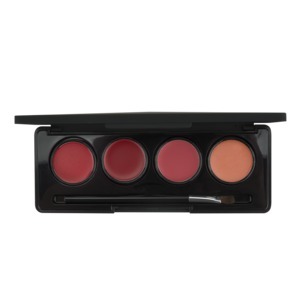 You get 4 colours of eyeshadows, 4 colours of concealer, 2 blushes, 4 colours of lip gloss and a highlighter. What I love about this box is that it is extremely light, you can decide whether or not you want to carry everything or just a few things with you. Perfectly for those busy moms who are always on the go. I got this for my mom on her birthday and she absolutely loved it. 2. 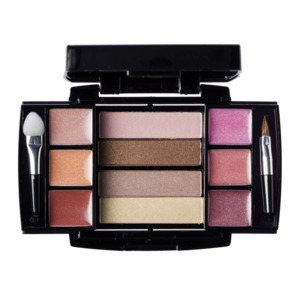 Compact Beauty: This lovely palette comes with 6 glosses and 4 shadows. It’s a tiny little beauty box that is compact and chic. The price is extremely affordable ($26CAD). 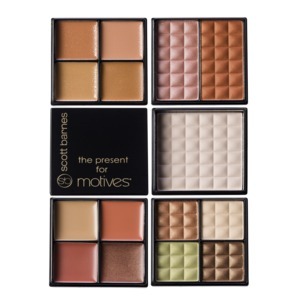 What I love about this palette is the fact that the colours are designed perfectly for this Spring/Summer 2015 and the box looks super gorgeous and high-end. Your mom/wife or girlfriend will definitely love this beautiful gift. 3. 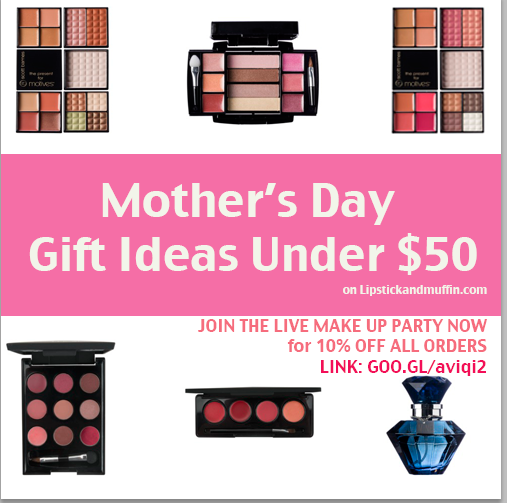 Lips Kits: If your mom is someone who doesn’t wear a lot of makeup, these 2 ideas of lip palettes will make her happy. 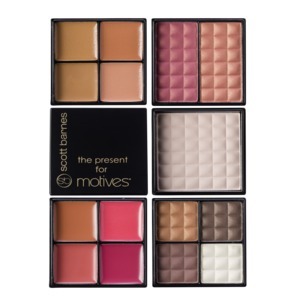 Motives Lip Kit comes with 6 colours of lipstick and 3 colours of lipgloss. Again, super compact and super easy to carry with while on the go. They are also available in 3 different kits to choose from ($43.16CAD). For more gift ideas for Mother’s Day, you can also visit SHOP.COM a.k.a my favorite place to shop online 🙂 Have fun shopping everyone and I hope you find something special that will put a smile on her face. Next BACK TO SCHOOL DEALS!